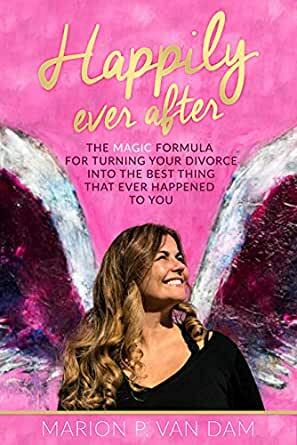 “Happily Ever After - The MAGIC Formula for Turning Your Divorce into The Best Thing that Ever Happened to You” presents a clear roadmap for women to dramatically improve their lives. Although directed specifically toward ladies in the bitter throes of divorce, many of the concepts the writer presents are applicable to everyone who chooses to elevate and enrich their existence; as a man I can speak to this personally. After all, who among us would not want to be “very happy”? The book espouses this enviable goal as eminently reachable. Nothing worthwhile comes easy – real change can be excruciatingly difficult. Author Marion van Dam addresses the challenges of engaging the road forward and provides a number of examples from her own experience of both her successes and failures. Some of the conflict issues with her husband, occurring near the end of their marriage, must have been quite wrenching to share. I’d highly recommend this book to any woman going through divorce or separation for the potentially life-changing positive utility it can provide. Ms. Van Dam's book and her 'magic formula' thoroughly- and daily- helps me to let go of the disappointment that accompanies the loss of time, a spouse, and ultimately, the loss of that iteration of a family. The book made me laugh, cry, reflect, but most importantly, it enabled me to re-imagine my new and happy life and to accept that the past is indeed part of the present, and that should be. I admire the author’s candor, her positivity, and her ability to make what is often such a painful situation for so many, be 'ok'. Our worlds are often not perfect but Marion's book reminds us of the old saying that 'life is (truly) what we make of it". Courageous and inspiring book! An honest accounting of the emotional tapestry that one goes through during a divorce with children and testifies that one can be a better parent if you are happy in life, even if it means getting a divorce, and making the painful decision that includes being separated from your children fifty percent of the time. The author points to five important concepts that need to be put into action in order to recovery one’s identity that can often get neglected and buried during a marriage/ relationship in order to rekindle the fire of life’s journey in the footsteps that is true to one’s spirit. Self-acceptance and positive psychology can lead to a life of happily ever after. Read the book and go for it. I found this book to be filled with vulnerability, great insights, and easy to read, which is specially good when you are so stressed while going through a divorce. What I liked the most is that the principals mentioned in the book, can help you change your perspective during the hurdles not only of divorce but of any other crisis you might have. The M.A.G.I.C. formula really is helpful in so many different ways. I was curious about this story because I also went through a divorce that turned my world up-side-down...and was curious to see if her insights would be both familiar and helpful...both are true. I loved her personal stories, the drama, the insight, the digesting of all the expectations and holding on to the dream...and the process of letting go to find yourself more deeper than before. I recognize it and found the MAGIC system great to remember when I am falling into a pitty party again... thank you for your sharing and helping others to move forward.